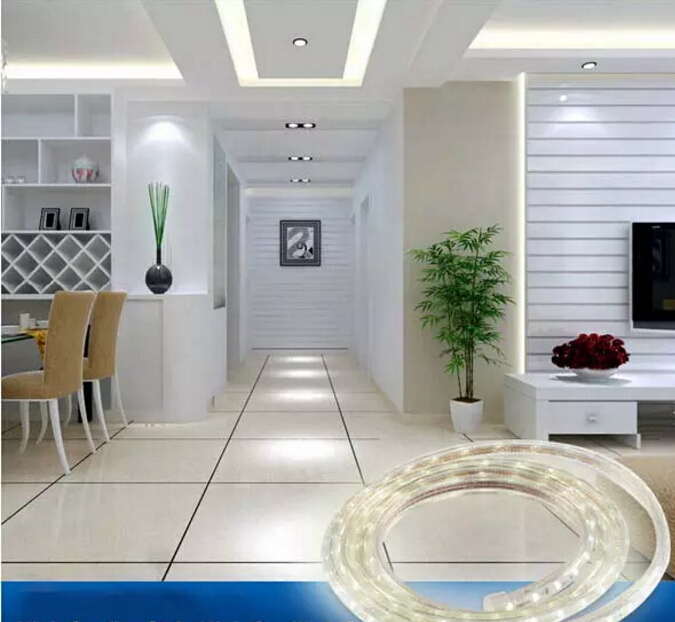 AC110V AC220V high voltage led strip is an "updated version" of the low voltage strip. 50/100 meters in one line without connection, and no signal amplifier needed. Save cost on power supply and installation,easy to transport and install. 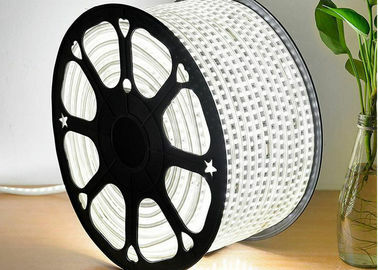 With 2835 SMD LED as light source, It is covered by PVC which is fully ECO-friendly, thus it has good-looking and waterproof. 1. 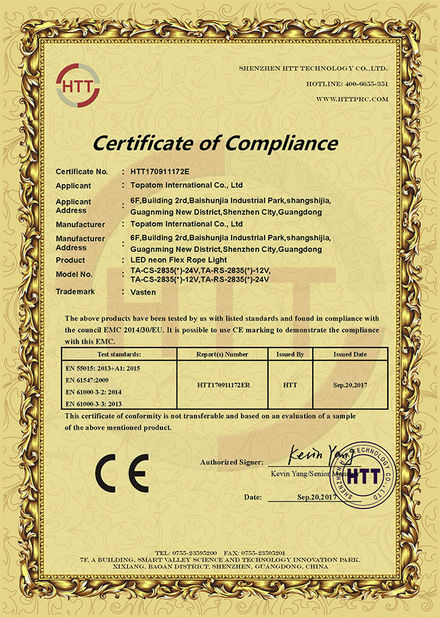 Dirctly contact to AC110V or AC220V, high voltage, but the PVC cover is 100% safe. No need transformer no need power supply. 4. Energy saving,environment protection,longl life,low light decay, Flexible IP65 Light Body. 5. 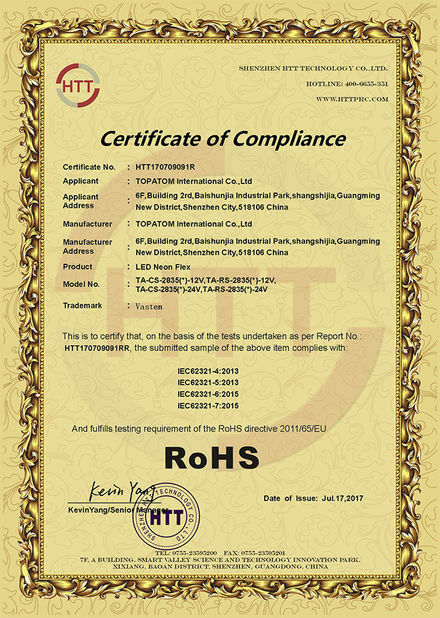 High quality and bright SMD LEDs as lighting source, can be bent as you need,easy to instal. 1. Take out the package,make sure it comes with necessary accessories,which should include:fixing clips,middle plugs,end caps,head wires.fix the strips with clips onto where you need,put the wire into sockets to light the strips. 2. Cut:Please cut the strips only along the cutting mark on the PCB,don`t cut at random.Block up the end with end caps,seal with enough glue to make sure it`s still waterproof. 3. Connect:Plug the head wire into a strip to conduct the electricity,or plug a middle plug into the ends of two separate strips to connect them into a long strip,after well connected,seal all the plugs with enough glue. * Bar, KTV, Disco, Club. entertainment.